found Pinterest to be an extremely useful resource. 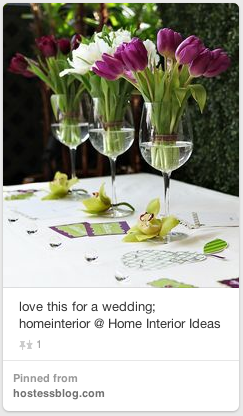 I used Pinterest to gather images of centerpieces I liked. I was able to search specifically for aspects I was looking for in my centerpieces, including lace and pearls. Having a Pinterest board specifically for centerpiece ideas created an easily accessible place for me to store my resources. I shopped around online as well as in stores (Dollar Tree, Michael's, JoAnn's and Home Goods) to find the best deals on vases, pearls, and lace. I decided on loose pearls instead of stringed pearls because the pins that I liked the most incorporated loose pearls. I was very glad to see the pin that offered sugar as a vase filler! I am using this suggestion because not only is it pretty, but the sugar offers a cheaper alternative to pearls, which is nice because the loose pearls were much more expensive than I had anticipated! I had one let down with a pin because I got excited about a pin that showed a large vase with a smaller vase inside and the void filled with pearls. This idea seemed easy enough, but I had an extremely difficult time finding vases that would work for this idea! It took me looking at several different stores before I could find vases to work. The vases wound up being too expensive to do all 20 this way so I bought five. This means that five tables will have extra special centerpieces and the others will be a bit more simple, but I'm okay with that! I have a family friend who will be doing the flowers and he has informed me that tulips will be in season, so I am very happy! 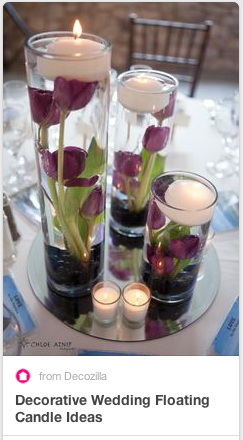 I continued pinning and looked specifically for centerpieces that used tulips. I wasn't sure if I would buy the lace table runners pre-cut or cut my own. Ultimately I decided to buy seven yards of lace and make three runners per yard myself. I also bought frames from dollar tree and spray painted them to use for table numbers and photos. After purchasing all of the vases, pearls, lace, frames, spray paint, and fancy scissors to cut the lace I am just a few cents below $200. I will still need to purchase the sugar and candles, but these should be minimal expenses and the flowers are coming out of a different budget. Now that I have the layout of my centerpieces figured out, I need to decide on flowers! I am lucky to have a family friend who teaches floral design and has agreed to do the centerpieces and bouquets for a more than reasonable price! Before I go meet with him to discuss arrangements, I want to make sure that I have looked around and know what I want. 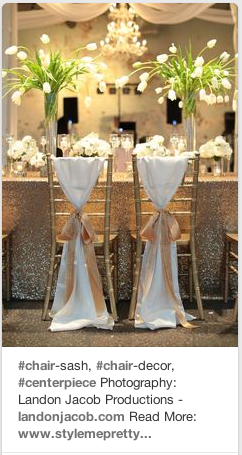 Pinterest had a ton of great photos of centerpieces. 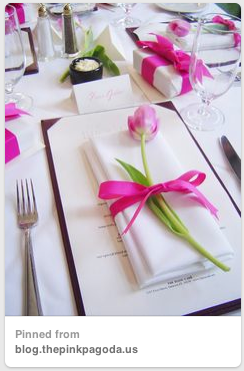 My favorite flower is a tulip so I searched specifically for centerpieces that include tulips. Since tulips are kind of a droopy flower, I wasn't sure how they'd do in the vases but Pinterest has some great ideas that really make the tulips look elegant. I have included pictures of some of my favorites here, but there are many more on my Pinterest board and I'm not done pinning! I'd love any feedback and other ideas out there from my peers.I am excited to meet with the florist now that I have a good idea of what I want. I intend to take my iPad with me and show him my pins. Having the images with me will be much easier than trying to explain it myself! At Walmart, I found two different glitter sprays in the craft aisle. I decided on the slightly more expensive, "Glitter Blast Diamond Dust" over the "Glitter Shimmer Shimmering Silver" because Diamond Dust sounded appealing and because I did not want them to look silver. I bought one can of white spray paint. After unwrapping each frame and then removing the glass and cardboard, I painted each one with two coats of white, waiting about five minutes in between coats. I was very close to running out of white spray paint! I should have bought two cans but I made it work! After letting the white paint dry for about 15 minutes, I sprayed them with two coats of the Glitter Blast, waiting about five minutes in between coats. I love how they came out! I was a little worried about the glitter because I had no idea what it was going to look like and I am so pleased! The glitter is shimmering, but in a pretty, soft way. I couldn't be happier with my upgraded Dollar Tree frames and I think they will look great on the tables at the reception. It has been a very productive week for my 20% project! It helped that my school site was on spring break :) I went on a search for the perfect lace for the table runners. I found a coupon online and headed to Jo-Ann Fabric in Oceanside. My mom, my sister, and my niece came with me so it was a lot of fun. Going in, I thought I was looking for ivory lace. My mom had the great idea to find colored lace, which will contrast nicely against white table cloths. We found a pink lace and a purple lace that we liked. I forgot my swatches at home so I had to guess on the colors. I did pretty well! As you can see in the photos, the pink we got is almost identical to my David's Bridal swatch, Petal. We were thinking of getting enough for half the tables to have pink runners and half to have purple. While waiting in a very long line, I changed my mind and decided that having both colors would look too playful and I'm looking for elegance. Jo-Ann's only had two yards of the lace, but I was able to order the rest online. I decided to make each runner a foot wide, so 1 yard of the lace will produce three table runners. I also got two small bags of pearls and super fabric scissors from Jo-Ann's. Next stop, Dollar Tree! (but not before getting dinner at Panera) At Dollar Tree, I stocked up on the rest of my glassware. I bought ten glasses to use as candle holders, a Pinterest idea. I also bought all of the frames I will be using for table numbers and photos. I plan to spray paint the frames white, possibly with glitter. When I got home, I played around with my materials to decide on the final design. After experimenting with the pearls, I decided that I preferred less pearls in the large vase, about 1/3 of the vase full. Another pin I found showed sugar being used as a vase filler, like sparkly sand! I settled on the designs shown in the photos with pearls, sugar, and candles accompanied by the lace table runners and picture frame. As you can see in the photos below, my mom was helping me while I cut the lace. It was important to me that I cut a very straight piece of lace for the table runners. I cut a 12" piece of poster board to guide my line and then laid down painter's tape. This allowed me to cut along the painter's tape and achieve a very straight cut. After purchasing 5 large vases, 20 medium vases, 10 glasses, 10 short vases, 3 one-lb bags of pearls, 2 360-count bags of pearls, 5 yards of lace, 20 double picture frames, and a fancy pair of fabric scissors I have spent $181.96. To stay within my $200 budget, I've got $18.04 to spend on a can of spray paint, two bags of sugar, and printed photos and table numbers. I might go over by a little, but not much! :) My goal for the next week is to find the spray paint and repaint all of the frames. Today was a very busy day! I started the afternoon by heading to San Diego to check out Wholesale Flowers on Metro Street. It is a huge shop full of beautiful flowers and flower supplies. They had a large selection of vases to choose from. However, with the goal in mind to put one smaller vase inside a slightly larger one, a small vase at $3.50 and a larger vase at $4.50 (although reasonably priced) would still be out of my price range. So I found a Dollar Tree close by and bought a vase that looked like it might fit in one of the larger ones from the wholesale shop. I also spent some time looking around Home Goods and eating a delicious sandwich from Sprouts! I took the Dollar Tree vase to the wholesale shop and sure enough, it fit perfectly in a $4.50 vase with just enough room for the pearls. I bought five of these large vases because twenty of them would have put me at $90 plus tax. So now I'm thinking that I can do five of them filled with pearls (as seen in the photo). For the rest of the tables, I am going to use an assortment of Dollar Tree vases, two to three at each table to add some bulk. I also saw a pin that had a vase with a candle, surrounded by pearls. I'm still playing around with ideas but I bought a ton of vases from Dollar Tree and am looking forward to experimenting. I'm really pleased with the way the two vases with the pearls came out. It gives the illusion that the entire vase is filled! 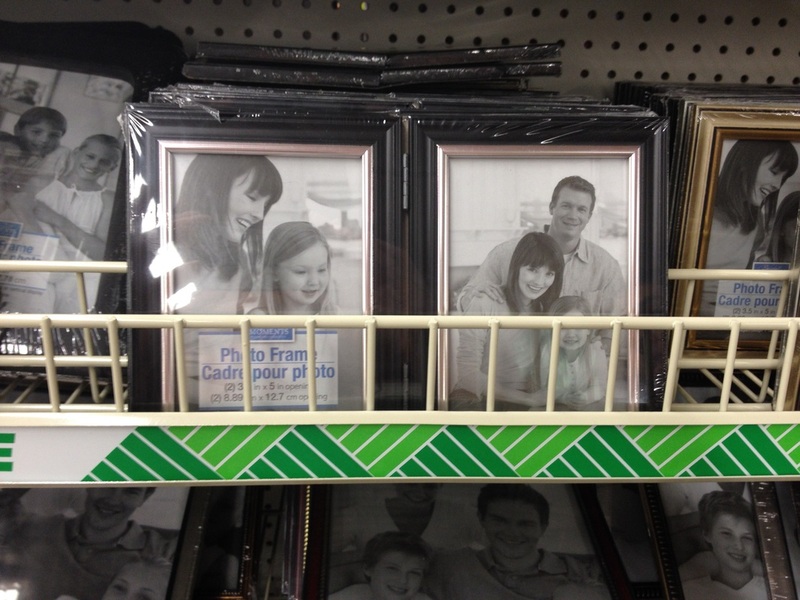 Also pictured is a picture frame from Dollar Tree. I'd like each table to have a table number and a photo of my fiance and I. I think this double frame would be perfect! My only complaint is that it is a 3x5 and I'm going to try and find them in 4x6 at Walmart or Target. If not, I'll return for these at Dollar Tree and look for pins about how to dress them up, possibly with glitter or lace. Follow Megan's board My 20% Project on Pinterest.